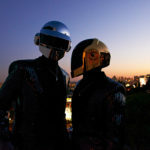 21 years ago, Daft Punk broke into the public consciousness with “Da Funk.” The French duo became hailed shortly afterward as dance music pioneers, cementing their place as icons in 1997 with their debut album Homework — a groundbreaking record rife with their famed combination of electro, house, and funk elements. “Da Funk,” along with their other album single “Teachers,” are now receiving luxury treatment as part of a new reissue from Toilet Paper magazine in celebration of their milestone achievement of 1 million copies sold. 1,000 copies of both singles will be pressed onto gold vinyl in commemoration of this achievement, sold at 50 pounds each. The vinyls can be bought through the magazine’s website or on The Vinyl Factory.